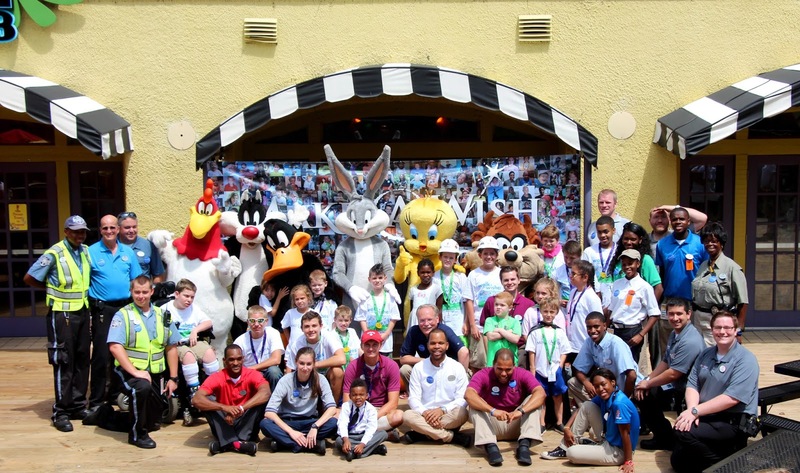 On Saturday, August 22nd, over two dozen Make-A-Wish Georgia children saw their dream come true as they got a behind-the-scenes look at Six Flags Over Georgia! The children shadowed Six Flags Team Members from Maintenance, Retail, Security, Rides, the Six Flags Railroad Train Conductor, walked with the Park President and of course – got to ride some our world-class attractions together! 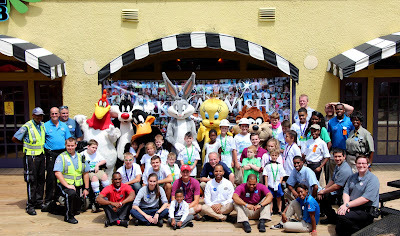 This event was the beginning of a new partnership between Six Flags Over Georgia and Make-A-Wish Georgia. Next spring, Six Flags Over Georgia will host a roller coaster event called “Coasting For Wishes”, which will be a fundraiser for Make-A-Wish. While more details are to be announced soon, people who participate in the event will take part in a 5K, 10K or a Marathon. However, instead of “running”, the fundraisers will be riding a 5K, 10K or Marathon in feet of roller coaster track on our 12 roller coasters equal to each event length (5K, 10K or Marathon). Take a moment for yourself today. Hit the pause button on life for a few ticks of the clock. Think of a word, an adjective. Think of a descriptive, calm word. For me, that word is deep. I only have a moment to steal for myself, so this word is a good one. Deep breaths in and out. Deep... in cool cotton sheets of my bed. That's where I want to be. The last few weeks have created an intense pressure inside of my brain. Rarely do I have a single moment of peace. Days are seemingly endless chains of child care, toddler tantrums, snack prep, meal service, and mess clean-up, intermingled with fast email responses via my phone or sneaky segments of time at the computer while the little one watches "Melmo" (Elmo). Work has demands and family members have demands and my phone dings with messages all day; it's not very often than I acknowledge my own demands. Sometimes I feel deeply abused. 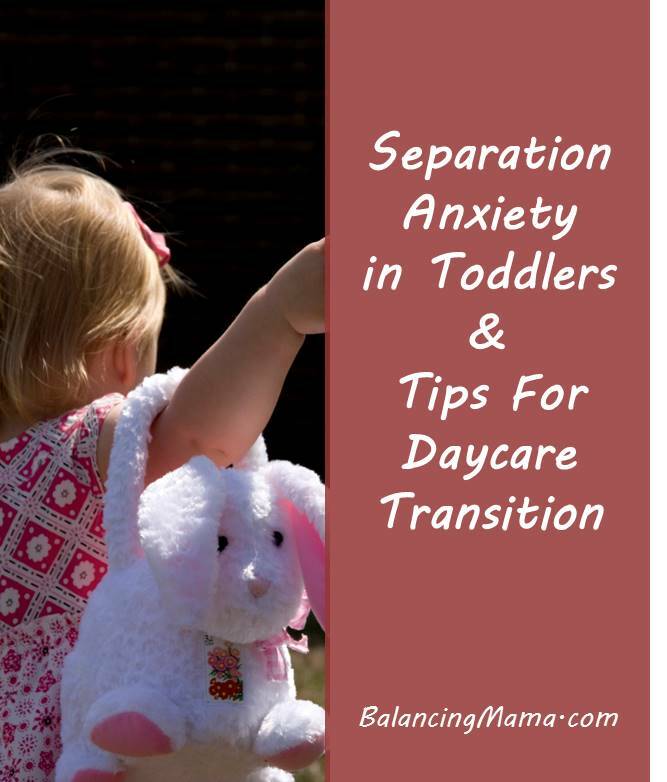 Even nights are interrupted by a toddler who, in the midst of his own stressful transition to daycare, often cries out in his sleep from utter exhaustion. I am Mom, therefore I snap awake to his sounds. More often than not, he settles himself within seconds. Sometimes he needs a simple pat-on-the-back of reassurance that Mommy is still at home. The house is quickly silent again but, alas, my brain was switched on by his cry and cannot resettle. I am always deeply tired. I can picture myself deep in the comfort of my bed. Deep in the darkness of the night. Hopefully, deep within a colorful - yet restful - dream. Maybe one where I am deeply happy and deeply pampered. Work beckons and so do the kids, but I will remember this simple task. Taking a moment, even if it is simply 60 seconds, to just... stop. And breathe. And think. It can really help to surpass hurdles or break out of a rut. It can give me a little boost to keep on going. Sometimes life tries to run away with us. I have to get better at telling it no. Even if it's just for a minute. In the Autumn of 1983, a five-year old me entered Kindergarten. My father parked the red Chevy Caprice Classic along the curb of the steep hill adjacent to school. My sister and I clambered out of the car after saying our quick goodbyes to Daddy. He was headed to work at the chemical plant; my big sister was in charge of leading me by the hand to Mrs. D’s kindergarten class. With my left hand in her right and our homemade corduroy book bags slung over the opposite shoulders, we crossed the threshold into our first day of the school year. My young heart skipped a beat. Where many in my place were nervous, I was brimming with excitement. My sister was in my place this time last year. I knew the school, I knew the teacher. I had nothing to fear. But as I looked into the expectant eyes of the teacher and that comforting grip on my hand began to loosen, my confidence waned. I could not hear the cheerful welcome from Mrs. D. My heart, giddy only moments before, fell into the pit of my stomach. Just under one hour outside of Nashville, Tennessee (and not too far off the interstate) sits Chaney's Dairy Barn, a perfect example of happy farm life and delicious food. We discovered this rural gem a few years ago on our vacation to Mammoth Cave and the Dreamworks Experience at the Gaylord Opryland Resort when we desired a cold sweet treat in Bowling Green, Kentucky. We made sure to stop again a few weeks ago as we rolled down the road towards Holiday World. Chaney's big red barn is perfectly contrasted against the expansive fields of grass and corn. They serve sandwiches, salads, wraps, and burgers along with fresh, smooth, and delicious homemade ice cream. And when the kiddos finish their ice cream goodies? They can run outside to run in a field and get some giggles out on the playground which features a very unique slide and a climb-on "tractor" structure. My little guy has been away from me for perhaps six total days in his entire 18-month life. Most of those were when he was quite young so he didn't really notice; he just needed milk and some interaction. 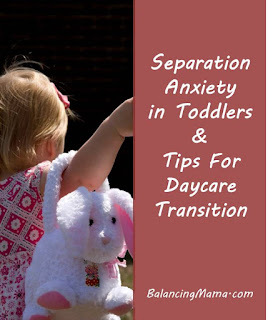 Now, at 18 months old, my toddler has a pretty forceful case of separation anxiety. His face crumples when I walk towards a door and he rushes to cling to my arm, leg, foot... whatever he can reach first. His round adorable face turns red and he wails as I pry him away, plant a quick kiss, and tell him I will return shortly. His separation anxiety surfaces even when he is in his own home with Daddy or grandparents. He just wants Mommy - right here, right now, ALL the time. Day one of daycare was difficult. Day two of daycare (because it was more than one week later) was even worse. 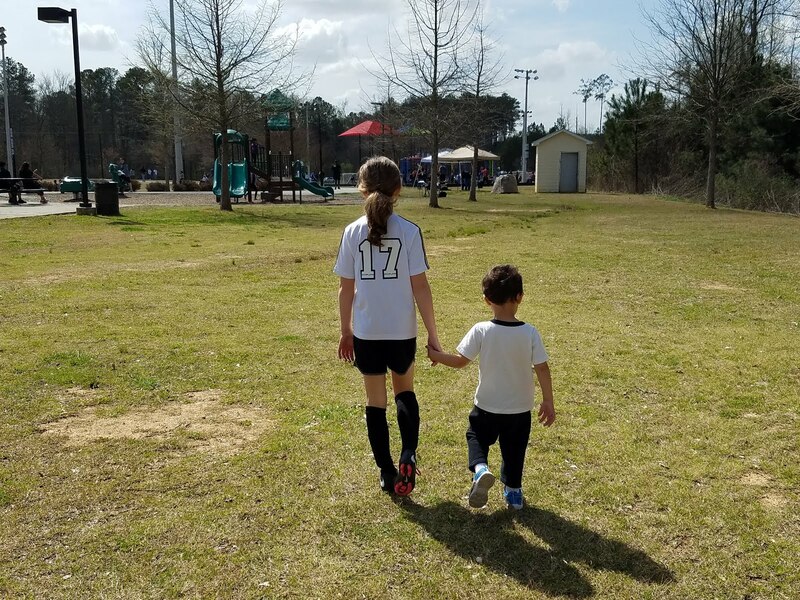 Despite having "free time" to work on all of my business and home to-dos that day, I worried and cried about my baby hanging out with near-strangers, in a strange place, without me. It took all of my might not to pick him up five hours early! He had a difficult day with a lot of tears. 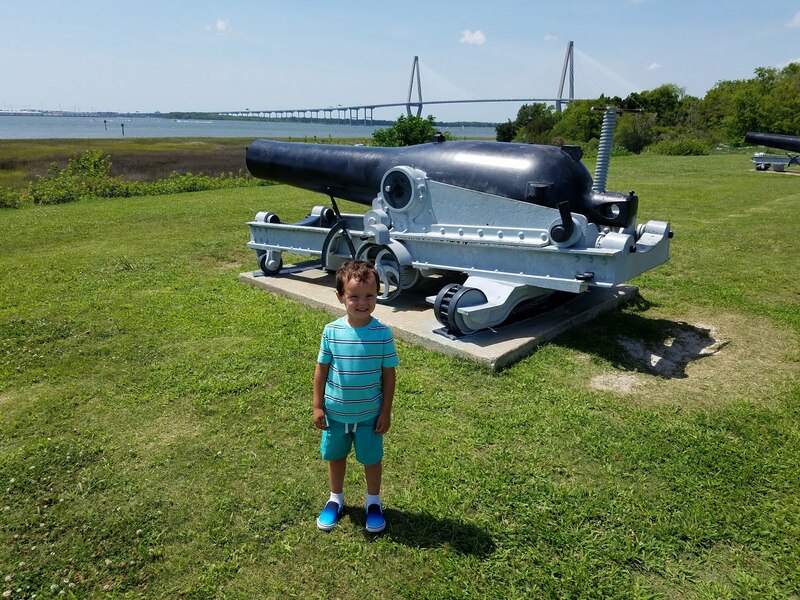 He was safe and had moments of fun, but he definitely did not love it.